A remarkable find … a 1971 Oldsmobile Cutlass SX Convertible, awaits muscle car collectors in this week’s Cars-On-Line.com newsletter. The internet’s top collector car website has selected it as their DEAL of the DAY for Saturday this week. The beautiful muscle car comes with its Bittersweet original paint and a price that will sweeten a collector’s dreams. The DEALs of the DAY are the stars of this week’s Cars-On-Line newsletter, the pubication notes. 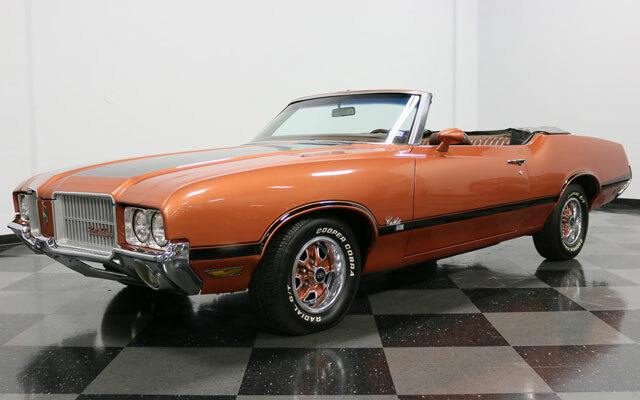 With a popular Code 62 Bittersweet original finish, this 1971 Oldsmobile Cutlass SX Convertible is an incredible find in its own right. (To view dozens of photos of this rare muscle car follow this link to the ad on the Streetside Classics website.) But why is it found here in the DEAL of the DAY instead of in the Oldsmobile Muscle Car section of the Cars-On-Line.com website? Because the price is right. The Cutlass SX was the “poor man’s” 442, you remember. So this is a big block 455 Oldsmobile muscle car that looks good and has all the power and stamina of a 442. This is a win, win for muscle car buyers. It will be their DEAL of the DAY on Saturday because the asking price is only $28,995. In their newsletter, COL intreats its readers to hurry so that they don’t miss out on this interesting deal. The Cutlass SX is being offered for sale by Streetside Classics in Fort Worth, Texas. Click here for a full walk-around video tour of the stunning muscle car. 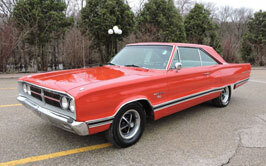 The DEAL of the DAY preview is a weekly feature of the popular Cars-On-Line.com newsletter. The website publishes the letter every Friday. It gives you first shot at all the cars that will be highlighted in the DEAL of the DAY feature on the Cars On Line home page that following week. So it is a preview of the top deals featured each day on their home page. For a look at all of this week’s DEALs of the Day follow this link to the newsletter just pulished.